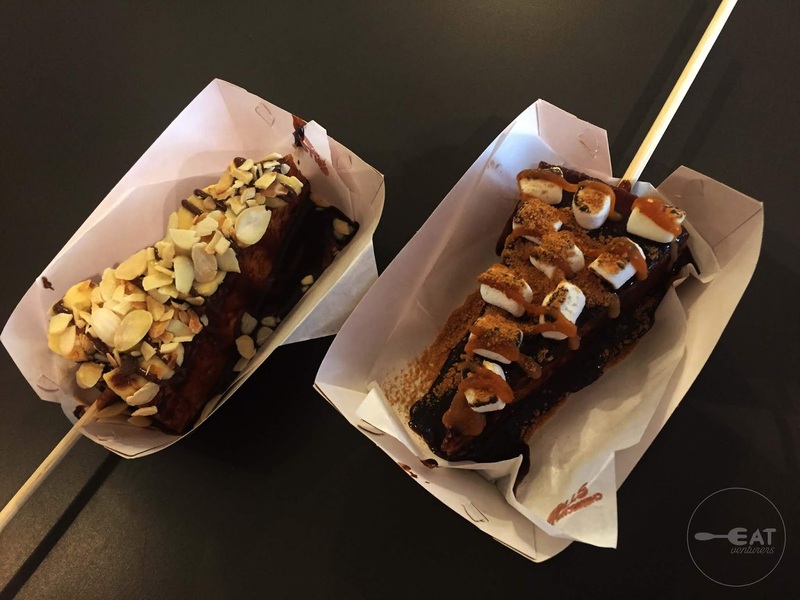 Imagine your favorite sweets, say s’mores, on a cheesecake and carry it all on a stick? 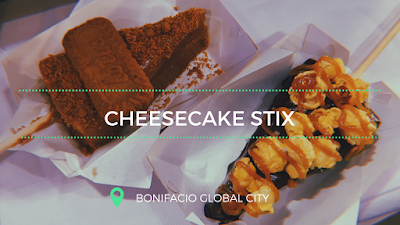 Cheesecake Stix elevates your usual cheesecake into a treat that tastes as good as it looks. This food trend others call “cheesecake pops” has become a craze in various places such as Melbourne and New York. 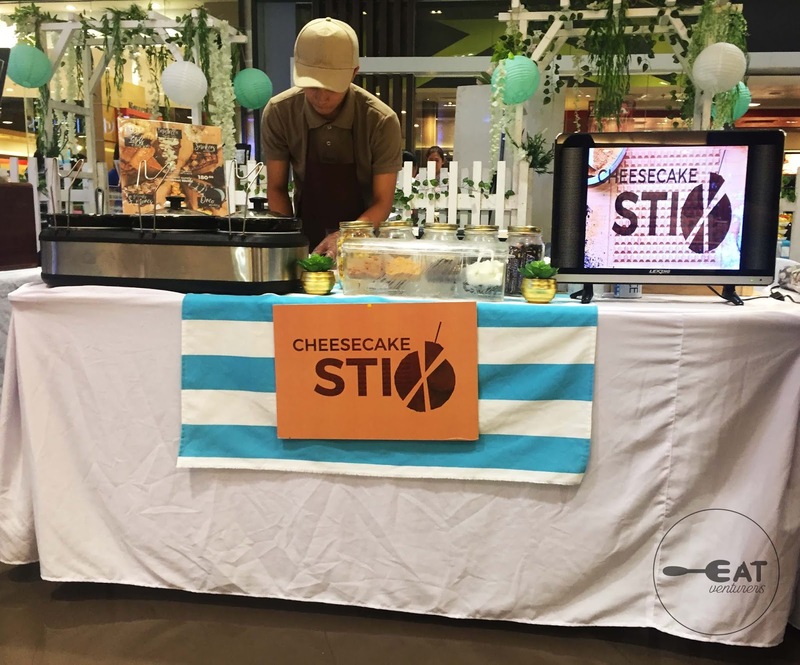 It has landed in the Philippines in March and now Cheesecake Stix offer it in different flavors in its pop-up stores. 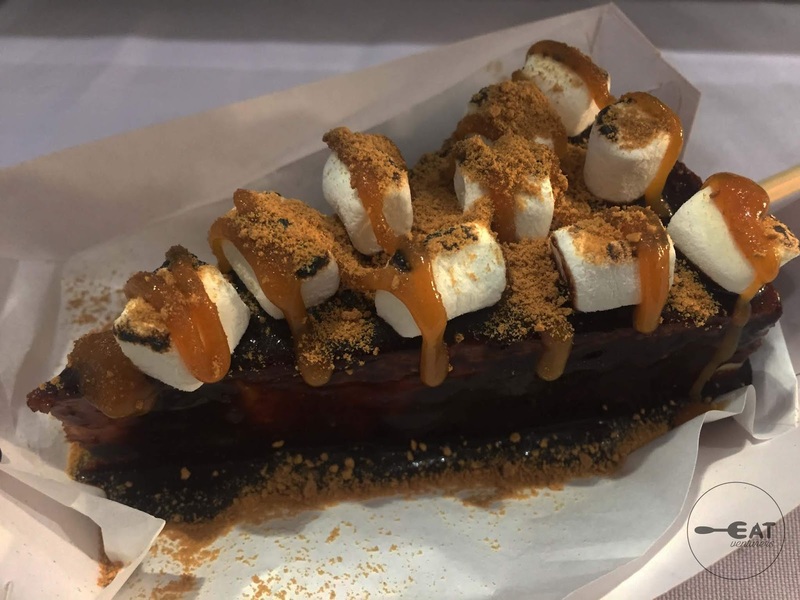 Cheesecake Stix coats its frozen cheesecake with variety of base and variety of toppings in it. 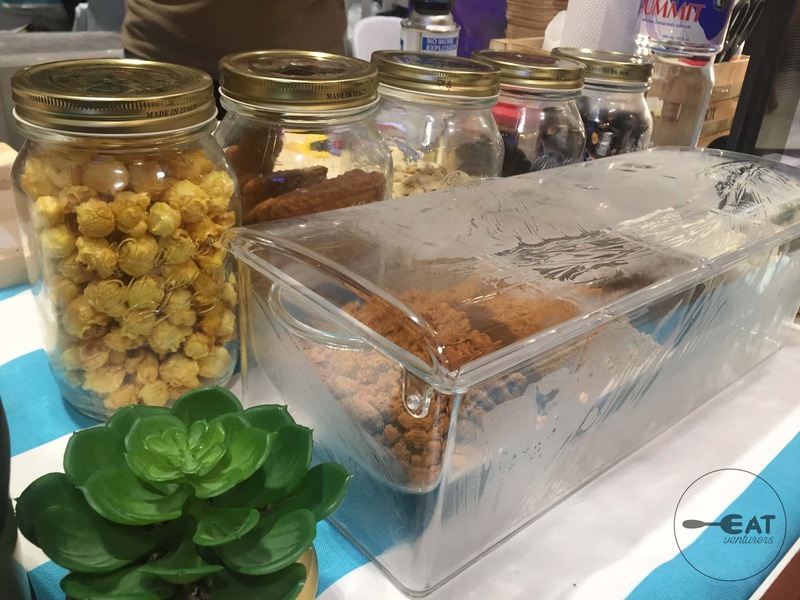 They also offer six signature flavors such as “Lotus at First Sight,” “Nutella About You,” “Snickers Overload,” “Oreo Madness,” “ Sea Salt Pop Charm” and “Heavenly S'mores” for only P180. 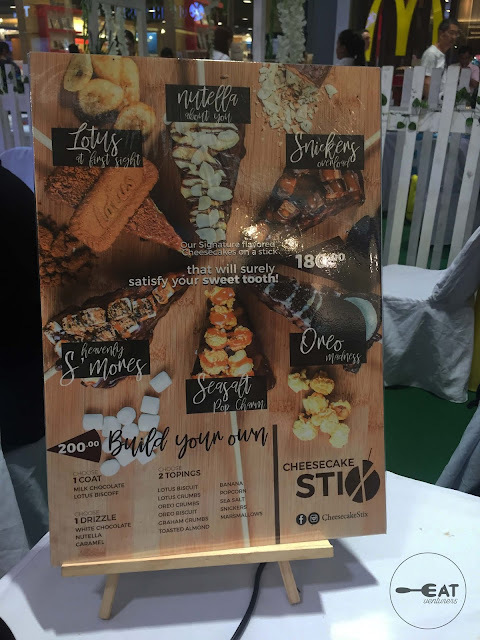 Customers may also opt to dip their frozen cheesecake onto their chosen toppings since Cheesecake Stix also offers “build-your-own” cheesecake on stick for P200. The shop’s cheesecake, in all fairness, can stand on its own. It has the right crust-to-cheese base-to toppings ratio. 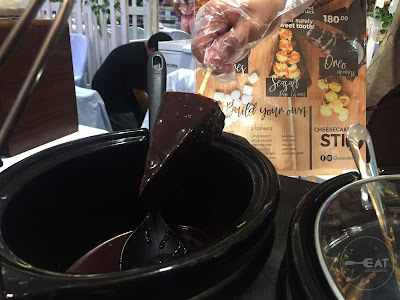 The cheese base is excellent—it is smooth and melts in one’s mouth. The Eatventurers were able to taste the four of Cheesecake Stix’s signature cheesecake flavors: Nutella About You, Heavenly S’mores, Lotus at First Sight and Seasalt Pop Charm in on its pop-up store in SM Aura Premiere. Heavenly S’mores is irresistibly good. The cheese base is soaked in luscious milk chocolate and topped with torched marshmallows and graham crumbs. For Nutella About You, the cheesecake is drenched in milk chocolate and smothered with banana slices, almond and everyone’s favorite Nutella. 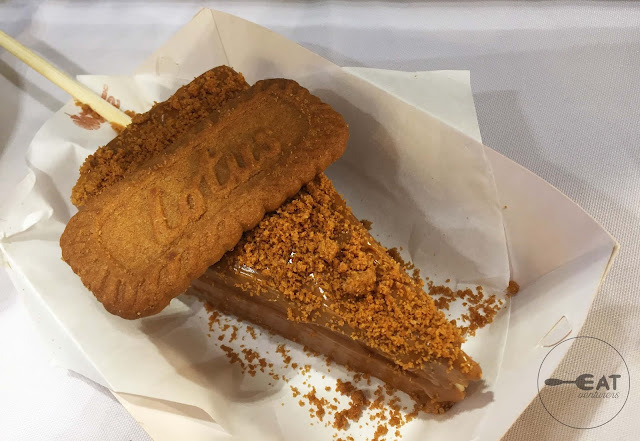 Lotus at First Sight, on the other hand, is coated with Lotus Biscoff topped with Lotus biscuit and crumbs. This is drizzled with caramel that would truly satisfy your sweet tooth. Another eye candy is Seasalt Pop Charm which is not only a unique sweet treat but also a must-try flavor. 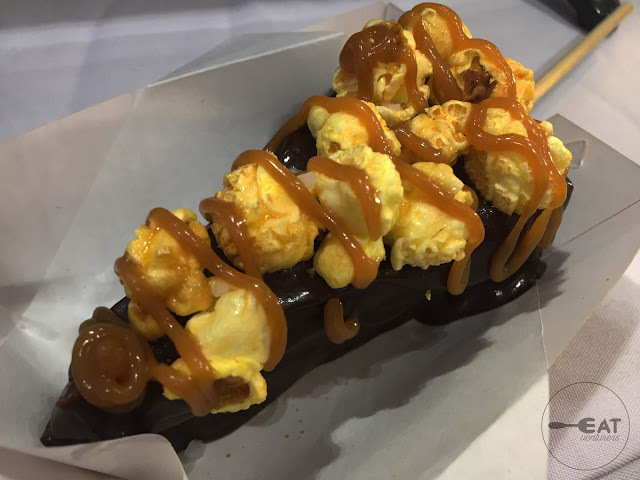 True to its name, this cheesecake flavor charmer is dipped in chocolate, topped with caramel popcorn and sprinkled with seasalt grains and drizzled with caramel that gave it a right balance of saltiness and sweetness. 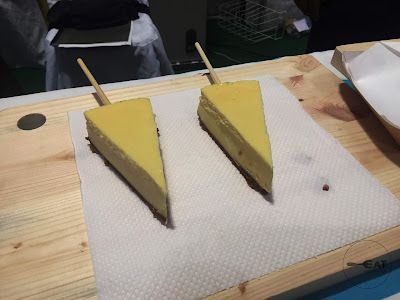 Cheesecake on stick is a dessert worth trying out. 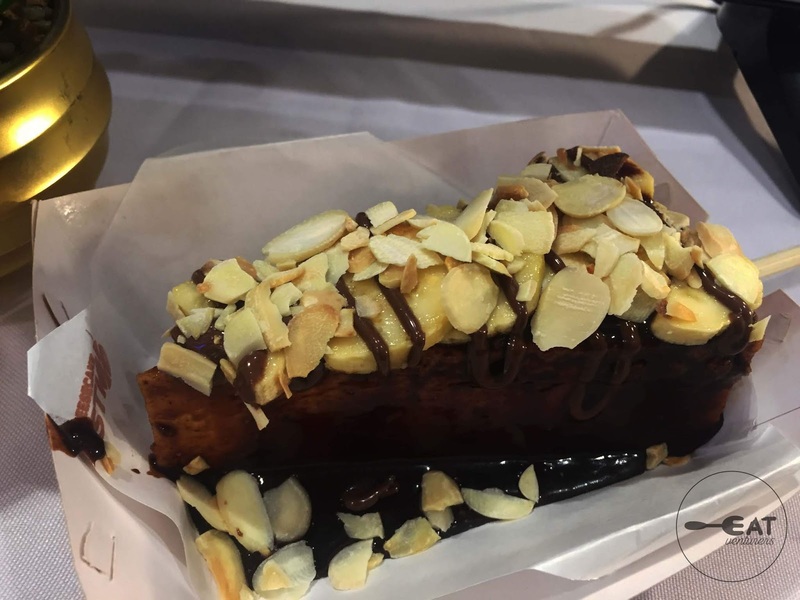 We also realized this food trend is just similar to Indonesia’s martabak / muttabak dessert because it is served in slices and had wide variety of flavors. 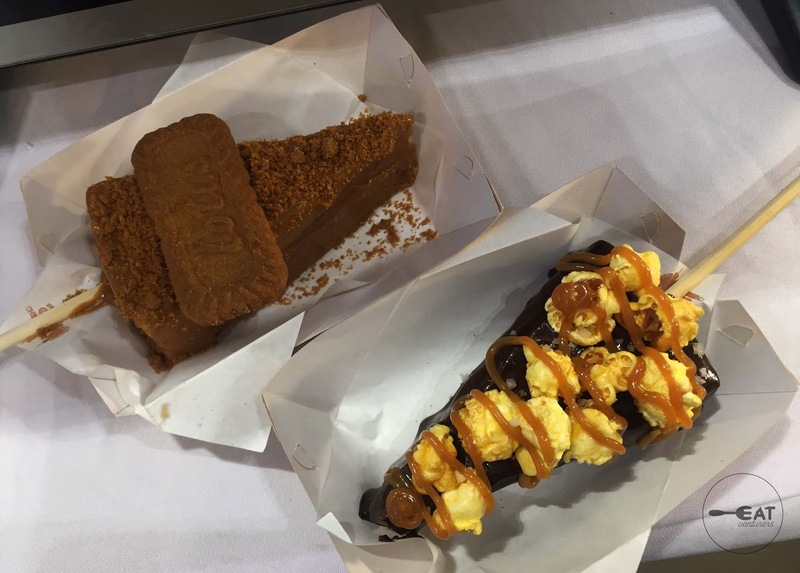 Only, martabak’s texture is like pancake. 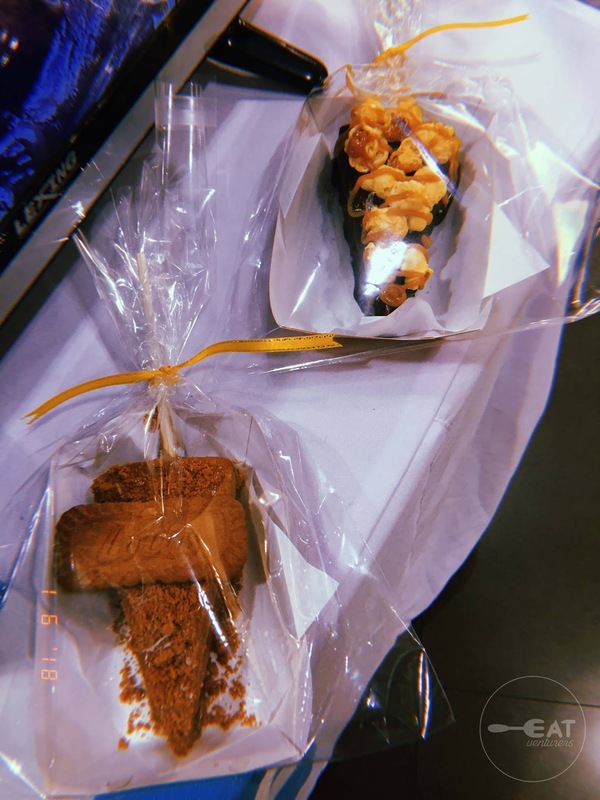 Is the hype for cheesecakepops worth it? We’d say YES! For the whole month of June, Cheesecake Stix will be in Eastwood Mall and will be in SM Aura Premiere and Ayala Vertis North until June 3. Cheesecake Stix is also open to cater to your events and celebrations.